Recycle, reuse, reduce, repurpose, upcycle; it’s hard to keep up with all of the green terms these days. With landfill waste at an all time high, upcycling -or creative reuse – is essential. Upcycling involves taking materials or products that are no longer wanted or needed and, through creativity, transforming them into works of art or something useful and beautiful. Upcycling has seen a resurgence in recent years as we become acutely aware of the limit of our resources and the impact we have on the earth as a species. Chances are, you’ve got an old, outdated area rug lying around somewhere that could be transformed into something beautiful or more functional. Our friends at The Rug Seller took a look into what old rugs could be creatively turned into. It was quite surprising how many options there were and in this infographic below, you’ll discover a few. They reveal how to turn your rug in an accessory for your favorite outfit, how to make it into something to keep your cat occupied or how to revamp it for more use as a rug. 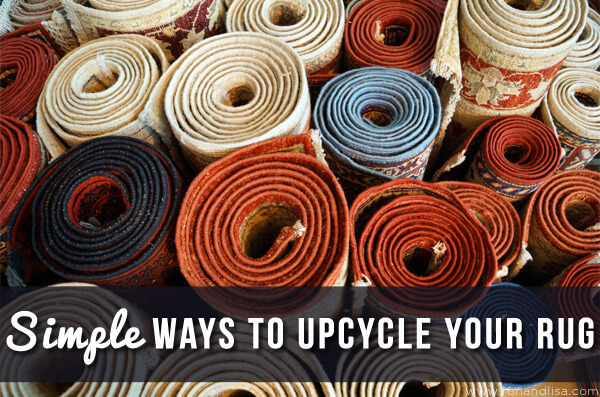 If you’re looking to repurpose one of your old rugs, we hope this will give you some inspiration to get creative and try something new. Got a favorite (or, an idea of your own)? We’d love to hear about it in the comments section below.